Share your experiences with Himalayan? The Himalayan has to be the standout bike in Royal Enfield’s portfolio given its adventure tourer nature. The overall styling is minimalist and rugged, which makes it an enticingly styled bike. The seats have been designed in a way to ensure maximum comfort during long rides while keeping the saddle height low. The instrument cluster is loaded ri ght from the obvious speedometer, tachometer and fuel gauge to a clock, temperature gauge and a compass as well. Also, there are brackets next to the fuel tank for you to carry jerry cans for fuel while riding over uncharted territories. 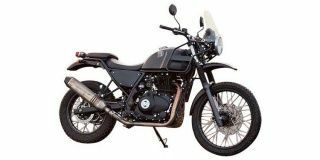 Confused about Royal Enfield Himalayan?